Have you thought of what your life would be if only those essentials stuff will be left? I think it is a straightforward way to examine whether one is happy with his/her own existence. We are surrounded by materials which are consider luxurious and extra each and every day, buying things we don't need to impress people we dislike. Since when the world is distorted like this? When there's nothing more left, will you feel the way you do now, will you feel happy? It is from my Tibet trip that I truly appreciate what I have in life. 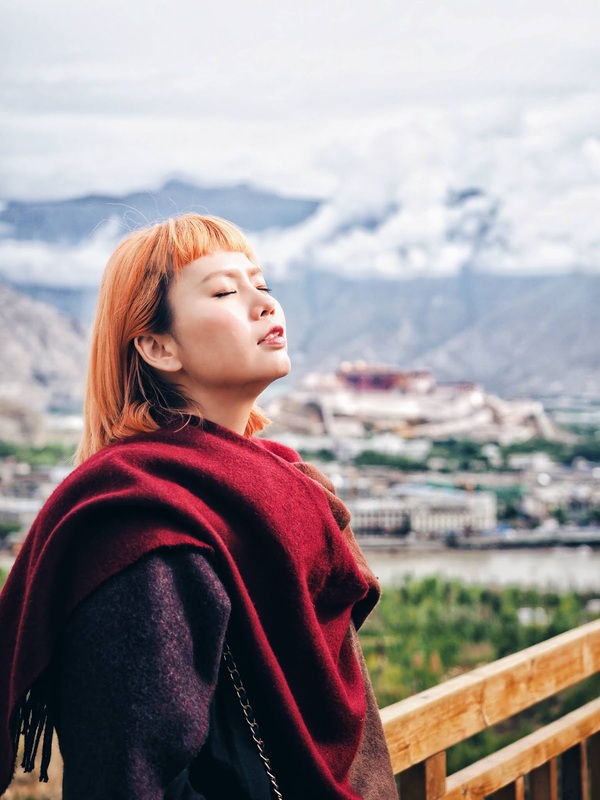 It never occurs to me that oxygen, warmth of sun, clean water, clean bathroom will be a luxurious when I was in Tibet. My body was constantly low in oxygen levels, I suffered headache and migraine, feeling nauseous, the urge of vomiting every 5 mins, wake up few rounds in the middle of the night because I can't breathe well and with nose so dry that it bleeds. Acute Mountain Sickness is real and it hits me with such an impact I can't take essentials in life for granted. They say a trip to Tibet is life changing, it really does. Ever since then, I've been looking at my life from a different perspective: What is it that I truly wanted and how can I make my life simple? So I start from my skincare routine because with all the traveling and hectic lifestyle, I needed something simple and effective. 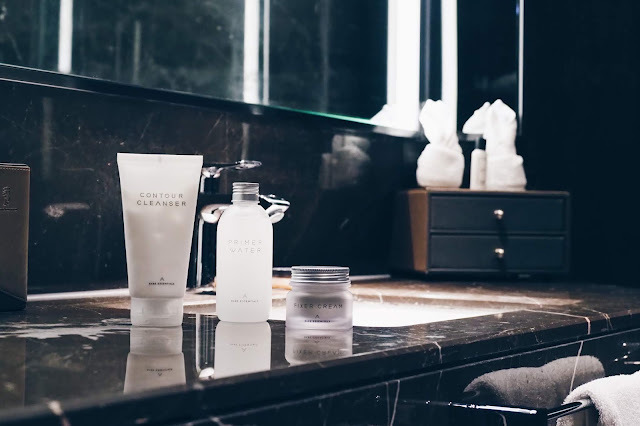 After 3 weeks of testing, I decided to choose Althea's Bare Essentials as my travel skincare regime because it's so simple and yet delivers good result to my skin. 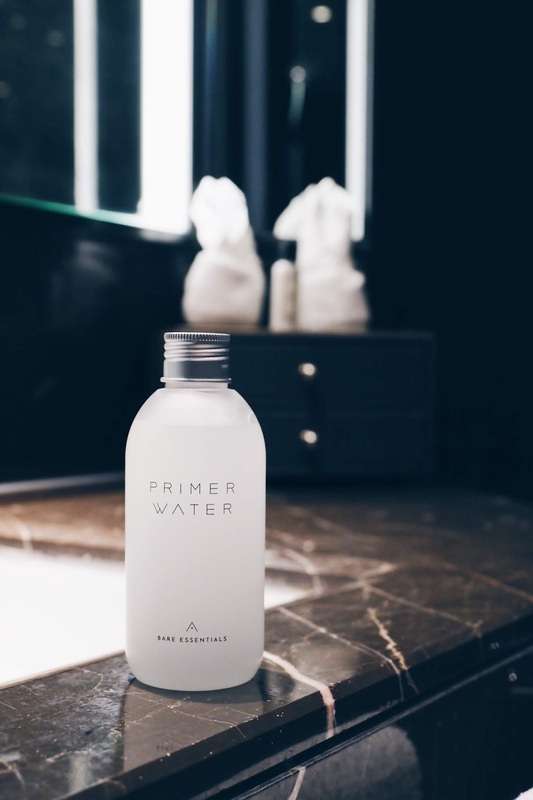 When I say simple, it is really simple, especially with this 2-in-1 Primer Water (toner and primer in one bottle), this dewy drops moisturised my skin and prep my skin for the next step. Made with Snow Lotus which is a famous plant for creating anti-oxidant, smoothens uneven skin tone, and moisture retention skincare, each and every drop of dew from this bottle penetrates into my skin, revitalise and bring out a youthful glow. Trehalose: rehydrating and water binding properties, as well as anti-oxidant powers. Baobab Tree: high in potassium, rich in anti-oxidants, vitamin c, collagen. Just when I was wondering why I wasn't feeling the bad effect of UV rays and cold winds at highlands, there lies my answer. 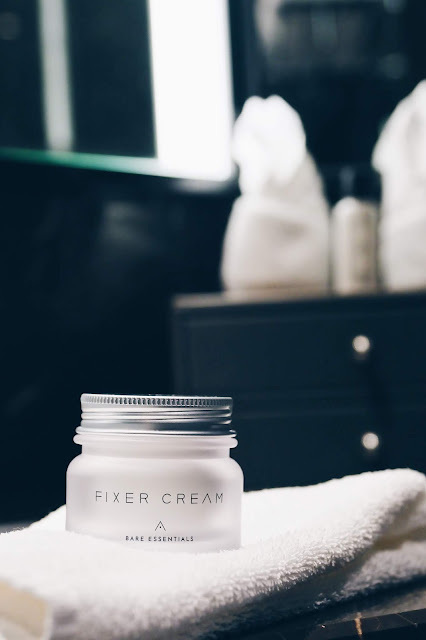 I didn't know this jar of Fixer Cream fixed my skin problems during my journey and I am so glad I bring this set of skincare with me everywhere I go. 3 simple steps to keep me away from skincare problems, Bare Essential's effectiveness really save me from a lot of hassles that most female travellers are facing. More so, its affordability made me shook! Whole set only costs RM104.40 (that's about 25USD) it seriously made me wonder how! Then I start to understand that Althea Korea believes in great makeup comes with great skincare, that's why they make all these affordable. Plus they are cruelty free too! Bare Essentials, thank you for giving me peace of mind. Now I can pack light with only these 3 simple skincare products that I feel glad and trustworthy. I'm looking forward to travel with Bare Essentials to adventurous journey that lies ahead of me.